A contemporary, architect designed, four/five bedroom detached new build family home finished to a high standard throughout. 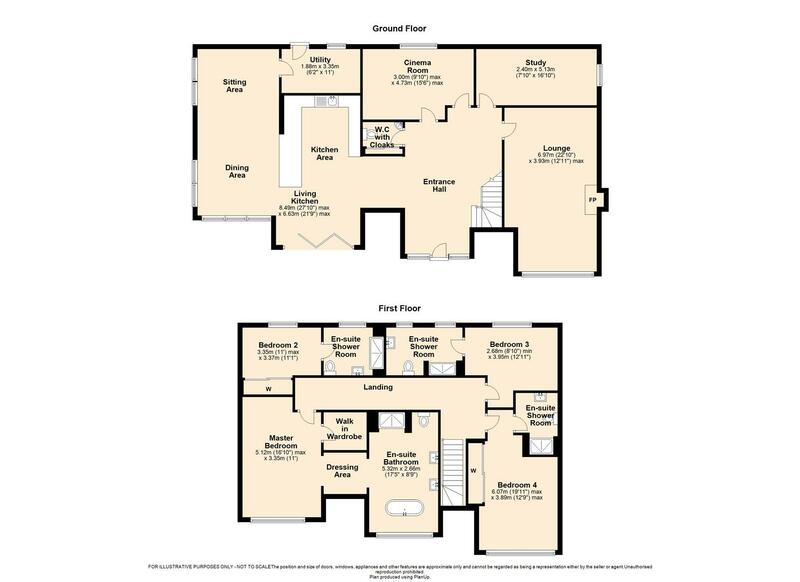 Briefly comprising- entrance hall, lounge, kitchen area, dining area, sitting area, games/cinema room/ 5th bedroom, study, WC, utility room, master bedroom suite with walk in wardrobe, dressing room and en suite bathroom and three further bedroms all with en suite shower rooms. Externally a private drive, detached 2 car garage and patio/ lawned gardens.